John J. Twedt, of Poulsbo, Washington, was part of the "Viking" contingent to represent his community in the Norway Day parade at the 1909 Alaska Yukon Pacific Exposition (AYPE) in Seattle. See the explanatory blog entry for this series: Poulsbo Vikings at the Alaska Yukon Pacific Exposition, 1909. John J. Twedt was born in Norway on January 18, 1874, and came to Washington State by way of Iowa. He immigrated to America in about 1888, and became a naturalized citizen. In 1910, while still a single man, he rented a house along with his sixteen years-younger brother, Chris Twedt, who became known for being a player on the local baseball team. On his World War I draft registration card for 1918, Twedt was noted as a man of medium height and build, with brown eyes and dark hair. His occupation was listed as "auto driver." 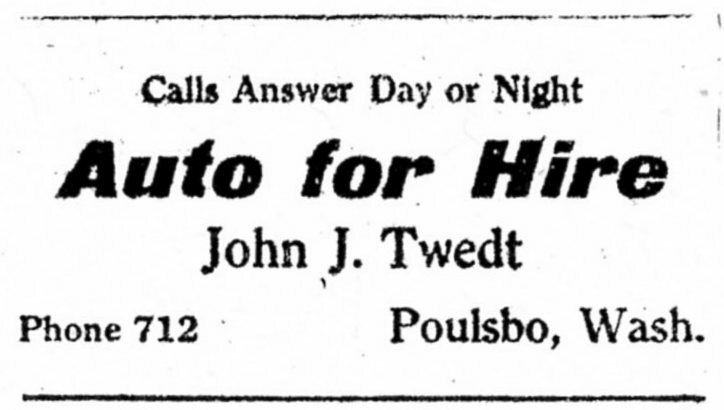 An ad running in the Poulsbo Record on June 27, 1918 indicated that he would answer calls for driver service, day or night. By 1920, Twedt was working as a barber in Poulsbo. 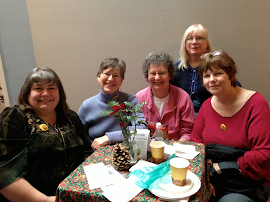 The family resided on Second Street, just a few doors down from Peter Iverson, a fellow AYPE Viking participant. Twedt lived with his spouse, Amanda, and their two daughters: Alice Aletta (Twedt) Seely, and June N. (Twedt) Davis. Five years following Twedt's involvement in the Alaska Yukon Pacific Exposition, a fire devastated about a third of the Poulsbo business section, including his own barber shop. The hardy town business owners did not take very long to re-establish themselves, by any means possible, with Twedt setting up his barber shop temporarily in A. N. Nelson's machine shop. John Twedt reportedly died on June 24, 1958 in Bremerton, Washington. --"Remembering the Great Fire of 1914." Kitsap County Herald, September 15, 2014, http://www.northkitsapherald.com/news/274914941.html?mobile=true (accessed June 2, 2016). --U.S. Federal Census, Poulsbo, Kitsap, Washington, 1910, 1920, 1930, 1940. --World War I Draft Registration Cards, U.S., 1917-1918, John J. Twedt, Ancestry.com, Registration State: Washington; Registration County: Kitsap; Roll: 1991652.